If you have been laid off or if your company is closing, you may be worried about losing your employer-based benefits, particularly health insurance. Having no health insurance can be a frightening experience, especially if your employer health plan provides coverage for your family. Also, you may be most concerned if you or a family member has a chronic illness that requires frequent visits with your doctor or the need for expensive prescription medications. It is important to try and find some type of health insurance plan during your period of unemployment. If you or a family member seeks care without health insurance coverage, you’ll be stuck paying the entire bill. You may be taking an unnecessary financial risk by not having health insurance. While going without health insurance may seem cost-effective when you have reduced income or no income, it may not be! The leading cause of personal bankruptcy in the United States is illness and medical bills. It's also important to understand that the ACA imposes a financial penalty if you have a gap in coverage of more than two months during the year. In order to avoid the penalty (unless you're exempt from it), you have to maintain minimum essential coverage. This can include COBRA or a plan purchased in the individual market (on or off-exchange), but it does not include short-term health insurance. The penalty will be eliminated as of 2019, but it still applies if you're uninsured in 2018 and not eligible for an exemption from the penalty. 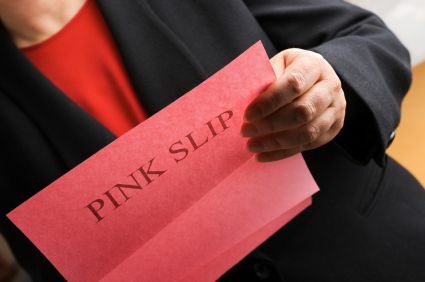 Fortunately, if you are handed a pink slip, you have a number of options to remain insured for some period of time following your layoff. Getting health insurance through your spouse’s (or domestic partner’s) employer may be your most cost-effective option. Many employer health insurance plans allow their employees to add family members who have been laid off—your spouse can add you to her/his plan. If your job provided the health insurance for the entire family, your spouse can initiate coverage for the family, because loss of coverage is a qualifying event that triggers a special enrollment period, regardless of when it happens during the year. If you are able to use your spouse’s health insurance, make sure to apply within 30 days of losing your previous coverage—some employer-sponsored health insurance plans may not accept your enrollment if you wait for more than 30 days. If your former employer has 20 or more employees, the company is required by a 1986 federal law to offer you the option to pay for an extension of your health insurance coverage for at least 18 months. This law is known as COBRA, which stands for Consolidated Omnibus Budget Reconciliation Act. At the time you are laid off, your employer must inform you in writing about your rights under COBRA. You then have 60 days from the date of the notice or the date your health insurance ended to enroll or sign up for coverage under COBRA. If your company went out of business or went bankrupt, COBRA will not be available. When you sign up for COBRA, you will continue to have the same health insurance that you had while employed. However, you must pay the health insurance premium that your former employer was paying for you, in addition to the premiums you were previously paying via payroll deduction. The employer may also add a 2% administrative fee. Depending on your individual circumstances, COBRA can be very expensive. Employees often aren't aware of how much their employers are contributing on their behalf towards the total premiums. According to a 2018 Kaiser Family Foundation analysis, the average employer that provides health insurance benefits pays almost 72 percent of the total cost of family health insurance premiums, and almost 83 percent of the cost of premiums for single employees. Switching to COBRA means that you're responsible for the full cost on your own. Total premiums, including the portion paid by the employee and the employer, averaged $19,616 in 2018 for family coverage, and $6,896 for single coverage (that's for the full year—you have to divide it by 12 to get the monthly premium, which is how we normally think of health insurance costs). That's a lot of money and probably more than you expected to pay, especially if you also lost your income and are collecting unemployment insurance. For some workers, the COBRA payments can amount to more than 60 to 70 percent of their monthly unemployment check. Many laid-off workers who are eligible to continue their health insurance coverage through COBRA cannot afford to do so. If you cannot afford COBRA, there may be other health insurance options that will provide the health coverage benefits that you need for you and your family. This is especially true now that the ACA has reformed the individual health insurance market. COBRA is regulated by the U.S. Department of Labor. The department’s website has a list of frequently asked questions about COBRA. You also can call 866-444-3272 for information or assistance. You can buy health insurance through the exchange in your state (note that this is the only place where premium subsidies and cost-sharing subsidies are available), directly from a health insurance company, such as Blue Cross or Cigna, or through an insurance broker who represents multiple insurance companies. You should consider consulting with a licensed insurance broker who may be able to help you find a health insurance plan that is less expensive than COBRA and still fits your needs. You'll want to make sure that the broker is licensed with the exchange in your state, so that he or she can help you enroll via the exchange if your income would make you eligible for subsidies to offset the cost of your coverage, and possibly your out-of-pocket costs. John Skillset, age 36, was laid-off from a middle management position at an investment banking firm. His family coverage through COBRA is $1,450 per month. He was able to get adequate coverage for his family from a not-for-profit insurance company for $785 per month. Although this plan requires that he pay for the first $5,000 of medical expenses (the deductible), his family is healthy and has had low medical costs in the past. Jenny Techwhiz, age 24, was laid off during a downsizing at a computer software company, but the money she had earned so far that year still put her above the limit for premium subsidy eligibility (ie, 400 percent of the poverty level). Her individual coverage through COBRA is $390 per month. But she was able to find a catastrophic plan on the exchange in her state for $280 per month. Since she's healthy and does not anticipate needing medical care in the near future, she decides to go with the cheaper option, despite the much higher out-of-pocket costs she'd have to pay if she were to experience a serious medical issue. The Patient Protection and Affordable Care Act (ACA) changed the landscape in terms of access to individual health insurance coverage. Prior to 2014, individual market health insurance (the kind you buy yourself, as opposed to getting from an employer) was medically underwritten in most states. This meant that people with pre-existing conditions were either charged higher premiums, denied coverage altogether, or offered plans that excluded their pre-existing conditions. For people who were laid off and had pre-existing conditions, this often meant that COBRA was the only realistic option, despite the hefty price tag. But starting in 2014, individual health insurance in every state became guaranteed-issue; insurers are no longer allowed to impose any pre-existing condition limitations. Enrollment is now limited in the same way that it's limited for employer-sponsored plans. People can sign up for coverage in the individual market in the fall (November 1 through December 15 is the schedule that most states use, although some states have extended open enrollment periods), for coverage effective the following January. Or they can enroll at any point during the year if they experience a qualifying event that triggers a special enrollment period. Loss of an employer-sponsored plan is considered a qualifying event, even if you have access to COBRA. You can decline COBRA and enroll in an individual market plan (on or off-exchange, but keeping in mind that subsidies to make it more affordable are only available on exchange), but you must do so within 60 days of losing your employer-sponsored plan. If you wait longer than that, your special enrollment period will be over, and you'll have to wait until the following open enrollment period. Short-term health insurance policies, also known as gap insurance or temporary insurance, are designed to provide you with some level of health coverage for a limited period of time. Many of these plans cover health-related emergencies, including hospital stays, but they often do not cover things like prescription drugs, maternity care, or mental health coverage. From April 2017 to September 2018, federal rules limited short-term plan to no more than three months in duration and renewals were prohibited. But the Trump Administration finalized new rules in 2018 that allow short-term plans to have initial terms of up to 364 days, and total duration, including renewals, of up to 36 months. States can still impose their own (stricter) rules, so the rules vary considerably from one state to another. You can click on a state on this map to see how short-term plans are regulated within the state. For people who aren't eligible for premium subsidies in the exchange (keeping in mind that a family of four can get subsidies in 2019 with an income in excess of $100,000), short-term plans are much less expensive than regular health insurance. But short-term plans have a number of important limitations, including no coverage for pre-existing conditions and routine health care, high deductibles and out-of-pocket expenses, limited benefit caps, and various essential health benefits that just aren't covered at all. A short-term health insurance policy may be appropriate for you if you have a healthy lifestyle, have no existing medical conditions, and expect to be reemployed or able to purchase regular health insurance before the end of the temporary coverage period. Note that a short-term plan is not considered minimum essential coverage under the ACA. This means that if you rely on a short-term plan for more than two months, you'll be subject to the ACA's individual mandate penalty, unless you're otherwise eligible for an exemption from the penalty. The penalty will be eliminated starting in 2018, but it still applies to people who are uninsured in 2018. If your income has dropped significantly and you cannot afford to buy health insurance, you may be eligible for a local, state, or federal program. Under the ACA, states can expand Medicaid eligibility up to 138 percent of the poverty level (almost $28,700 for a family of three in 2018). If your income has dropped below this level as a result of your job loss, you may be eligible for Medicaid, depending on where you live. There are 19 states that have not expanded Medicaid, and in 18 of those states, there's a "coverage gap" for people with income below the poverty level (Virginia will be expanding Medicaid in 2019, and Maine is likely to also implement Medicaid expansion in 2019; several other states have Medicaid expansion on their 2018 ballots). If you're unable to qualify for Medicaid and unable to afford coverage in the exchange even with the subsidies that are available, a good place to start looking for information is the website of the Foundation for Health Coverage Education. This not-for-profit organization provides interactive tools to help you find affordable health insurance or alternative options in your state. The site also provides access to an Uninsured Hot Line (800-234-1317) that allows you speak to a live operator any time—24 hours a day, 7 days a week. Children's Insurance: If your family income is below a certain level, your children (under age 19) may be eligible for a free or low-cost health insurance policy. These policies, provided by the federal government and your state, cover all basic children's health services including dental and vision care. Coverage for children is available even in the 18 states where there's a Medicaid coverage gap for adults. For information, contact your state's Department of Health or Department of Children and Family Services. You can learn more about this type of health insurance and access your individual state's program at InsureKidsNow! Community Health Centers: Regulated by the federal government, community health centers can be found in many parts of the country. These clinics provide care to people without health insurance and have sliding fee scales based on income. Many of these clinics have counseling services to help people find health insurance or low-cost care. Find a health center in your community. Free Clinics: These clinics, located in many communities, provide health care for free or very little cost to uninsured people. They are often staffed by volunteer physicians and nurses and depend on donations from the local community. Find a free clinic in your community. Veterans Benefits: The Department of Veterans Administration (VA) offers free or low-cost medical care and prescription drug coverage to eligible veterans through its VA medical facilities. The VA website has information about eligibility and location of VA offices. Losing your job, your income, and your health benefits can be very stressful and, for many people, a blow to their self-esteem. One of the most important things you should do is take care of yourself! Talk to your doctor about your layoff and health insurance situation. She may be able to suggest some cost-saving measures such as switching your brand-name medications to generic versions or working out a payment plan for your medical bills. And, most important, maintain a healthy lifestyle with regular exercise and good eating habits! You'll feel better and you are less likely to need health services! Kaiser Family Foundation. The Coverage Gap: Uninsurance Poor Adults in States that Do Not Expand Medicaid. June 12, 2018. Kaiser Family Foundation. Employer Health Benefits: 2018 Summary of Findings. October 3, 2018. Department of Labor; Department of the Treasury; Department of Health and Human Services. Short-Term, Limited Duration Health Insurance. Finalized August 2018, Effective October 2, 2018.